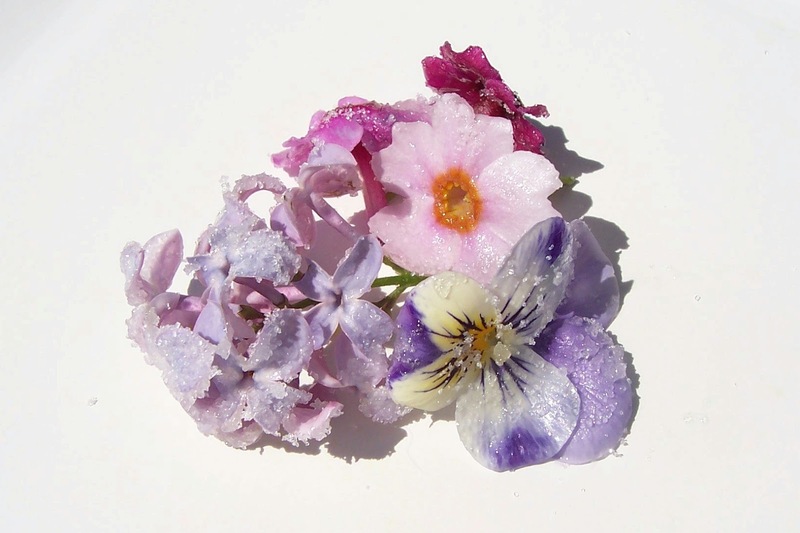 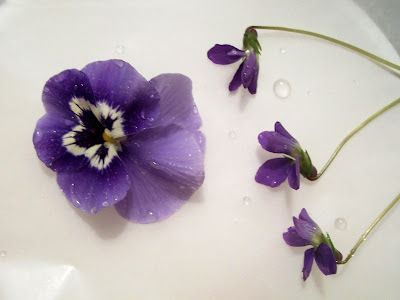 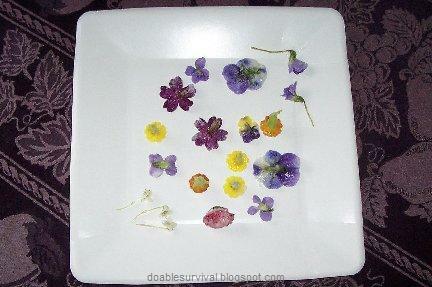 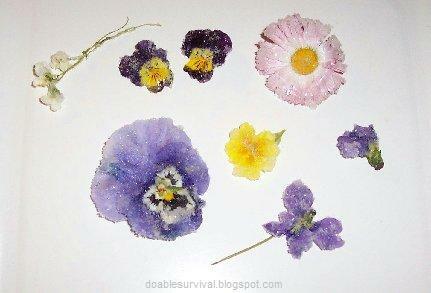 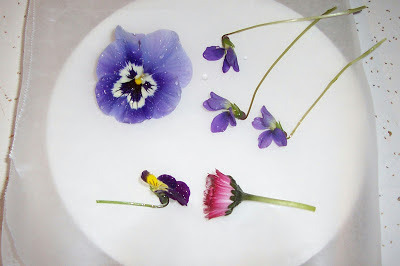 I'm doing an Edible Garden Flowers post and thought I would post this separate. You just need 1 large egg white at room temperature, a small amount of water (a few drops to a teaspoon), and very fine sugar. 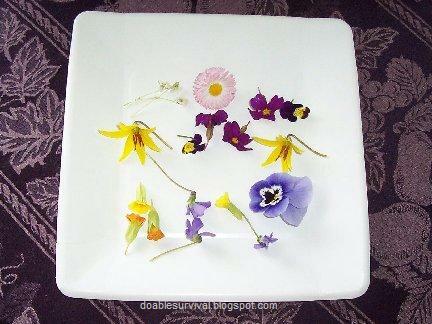 ..oh and the edible flowers of course. 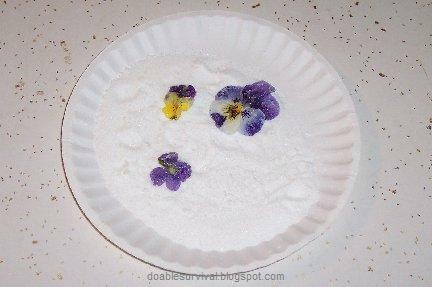 I don't have fine sugar so I put some sugar in a blender and blended it for just a few seconds. If you leave it in too long, it will be powdered (hence "powdered sugar"). Flowers, egg white mix, sugar. 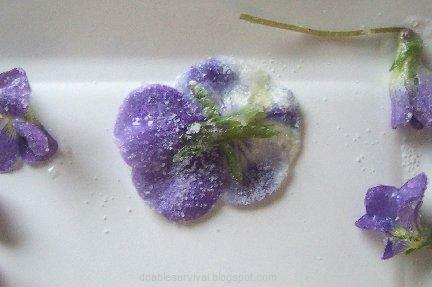 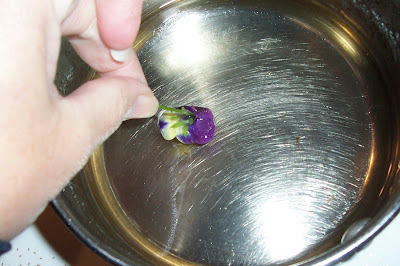 Hold the flower over the sugar and sprinkle it to coat both sides. 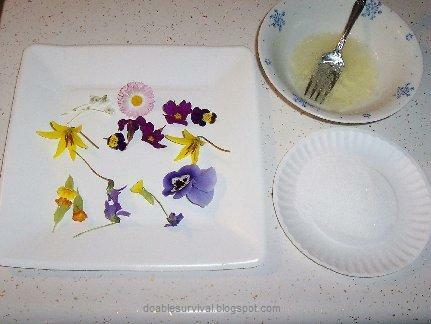 Put them on wax paper to dry for 12-36 hours. 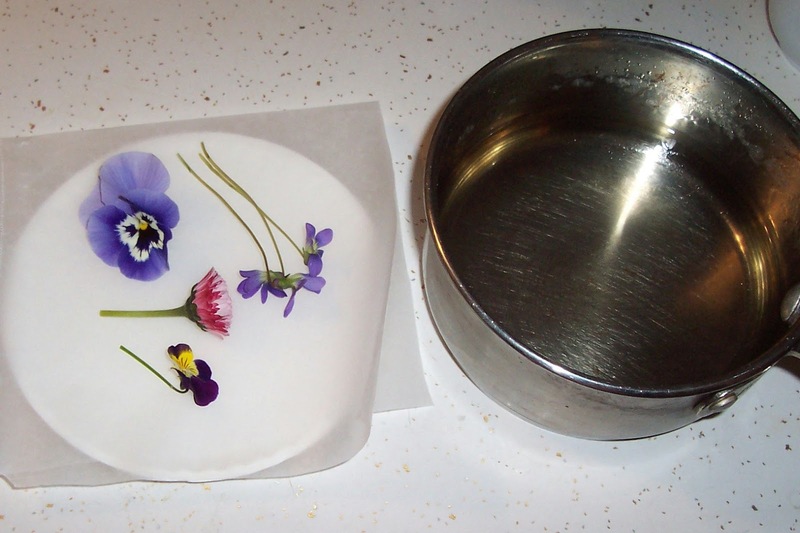 You can carefully put them in an open oven on a very low temperature to speed things up. Storage: Some notes say that they can last for 6-8 months in an air-tight container at room temperature and some say up to a year but not to store them in the refrigerator. Try to keep them in a cool dry place out of sunlight.